Thank you for sharing these moments of the 2017 SCBWI Winter Conference with us! We hope you'll join us for the 2017 SCBWI Summer Conference in Los Angeles, July 7-10, 2017! The doors open to the autograph session and eager book lovers pour in. The long line of those waiting to get in. Sara Pennypacker is the author of seventeen children's books, including the New York Times best-selling Clementine series, Summer of the Gypsy Moths, Pierre in Love, Sparrow Girl and The Amazing World of Stuart. She has also contributed four books to the venerable Flat Stanley series. Her books have won numerous awards, including a Golden Kite Award and a Christopher’s Medal, many children’s choice state awards, and have appeared on many 'Best Books' lists. Writers (and illustrators) should "lift people up, not lower them down. Writers do not merely reflect and interpret life, they inform and shape life." Surround yourself with people who walk with light and not with darkness ...who respond to the world with positive acts of creation. Creation is a river. One way it's like a river is that it becomes stagnant if blocked. Do not allow that. 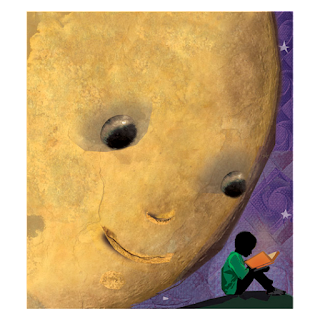 "Children who feel stories are a gift… feel they must give you a gift." And then she tells us how those moments and hugs (and smashed smarties) are so powerful and meaningful to her -- and will be to us, too. "I have had not so good of a week. Well, Monday was a pretty good day, if you don't count Hamburger Surprise at lunch and Margaret's mother coming to get her. Or the stuff that happened in the principal's office when I got sent there to explain that Margaret's hair was not my fault and besides she looks okay without it, but I couldn't because Principal Rice was gone, trying to calm down Margaret's mother. Someone should tell you not to answer the phone in the principal's office, if that's a rule." And then Sara points out how it allows readers to be in on the joke. She didn't say Clementine cut Margaret's hair -- readers figure it out for themselves. She didn't say Clementine picked up the phone -- but readers get it! "Take out a sentence. Let them put A and C together to figure out what B was." With stories and advice, Sara's keynote is powerful, and heart-felt, and so encouraging. and gets a standing ovation! 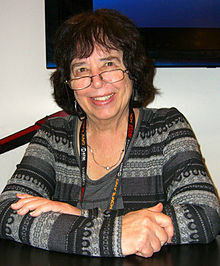 Often called the "Hans Christian Andersen of America," Jane Yolen is the author of over three hundred books, including Owl Moon, The Devil's Arithmetic and How Do Dinosaurs Say Goodnight?, plus seven books of adult poetry. She lectures around the world, and has won an assortment of awards. Don't write a rhyme that's sucky - write good rhymes. Anyone can write in rhyme, but not everyone can write good rhymes. Rhyming can be a curse because writing in rhyme can seem easy, and we don't always value easy things. But don't treat rhyme like it's as easy. Because, actually, it's hard to do. The four Rs: Rethink. Reconfigure. Reevaluate. Revise. Work the rhyme. Don't let the rhyme work you. 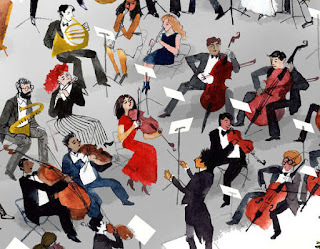 Story needs to be the driver of the story—not the rhymes. So often people focus too much attention on making the words rhyme, while neglecting the story. Experiment with writing in prose rather than rhyme. Helps you to focus on storytelling. Give yourself permission not to rhyme. Don't abuse rhyme. Sometimes a book needs to be written in rhyme, but sometimes it does not. Test it out. Consider writing in prose instead. Bad rhyme is cringe worthy. Good rhyme is binge worthy. Children love rhyme. There's something comforting about the predictability element of rhyme. And there's also an element of surprise. As we read a rhyming picture book, we know he rhyme is coming, but we don't know what word will be used. The element of surprise is what makes the book exciting for young readers. Rhyme should lift a story higher. Elevate your reader. Read your rhymes out loud. Have someone else read them out loud too, so you can hear the words you've written. 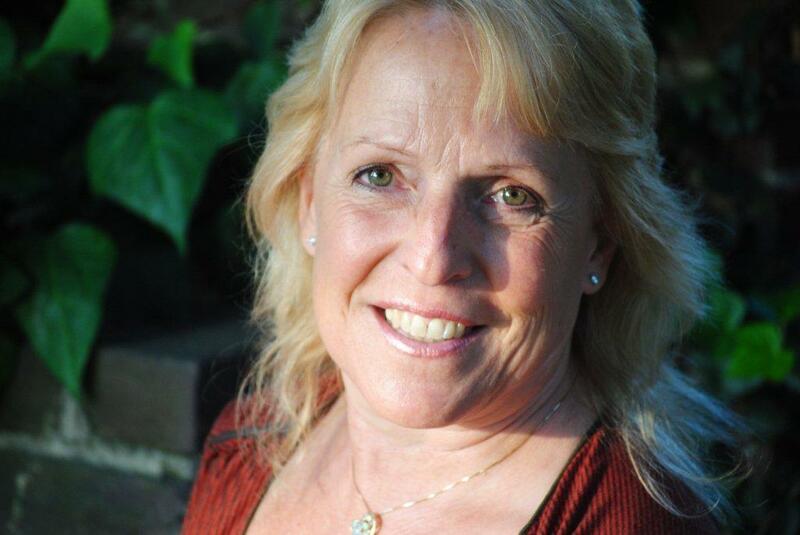 Tracy Barrett is the author of numerous books and magazine articles for young readers. She holds a Bachelor's Degree with honors in Classics-Archaeology from Brown University and an M.A. and Ph.D. in Medieval Italian Literature from the University of California, Berkeley. Her scholarly interests in the ancient and medieval worlds overlap in her fiction and nonfiction works. 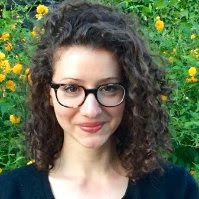 A grant from the National Endowment for the Humanities to study medieval women writers led to the writing of her first novel, the award-winning Anna of Byzantium (Delacorte). Her most recent publications are The Song of Orpheus: The Greatest Greek Myths You Never Heard, a collection of little-known Greek myths; a retelling of Cinderella entitled The Stepsister's Tale; and the popular middle grade series The Sherlock Files. From 1999 to 2009, Tracy Barrett was the Regional Advisor for the Tennessee and Kentucky SCBWI regions. 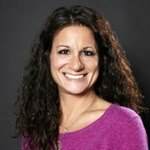 She is now SCBWI's Regional Advisor Coordinator. Tracy shares about her own journey to self-publishing. She has twenty books that were traditionally published, and then wrote the middle grade book Song of Orpheus: The Greatest Greek Myths You've Never Heard. She worked with her agent to revise, and then they tried to get it acquired by a traditional publisher -- it came close, but didn't find a home. But Tracy and her agent believed in the book, so they decided to do "agent-assisted self-publishing." Tracy cautions us that there's no one "right way" to self-publish, and explains that her session is less about mechanics and more about philosophy -- is your project a good one for self-publishing? And what elements to consider when making that decision. And was she able to pay professionals for what she couldn't -- or didn't -- want to do. Tracy surveyed other self-published authors to put together her presentation, including Rajdeep Paulus, Dawn Rae Miller, Darcy Pattison, Chris Eboch, Sophie Davis, and JoAnn Early Macken. and tells us how she hired someone to help her with formatting, cover art, cover design, and copy editing. "I was a copy editor but I didn't copy-edit my own book. That's like a surgeon taking out their own appendix." With lists of common reasons to self-publish (including creative control and higher percentage of sale price) and major drawbacks (including most bookstores won't carry self-published books and it's hard to get reviews from major publications), Tracy's session is packed with information, resources, and tips. A great reminder that no matter how you publish, you have to aim to put out the best book possible. 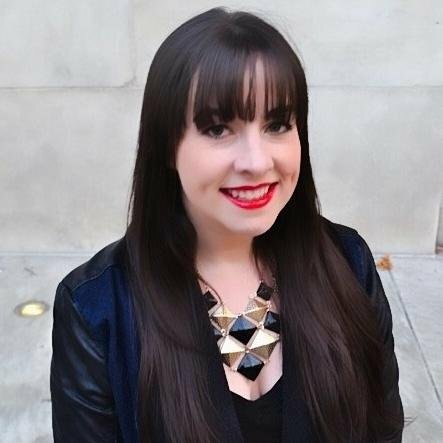 Carrie Howland worked an an agent at Empire Literary since 2016, after eleven years at Donadio & Olson, Inc. She represents young adult and middle grade, as well as the occasional picture book. During a lively discussion, Howland spoke about change within the industry over the past decade or so, particularly with how agents can use various social networking platforms to connect with new talent—Facebook, Instagram, Twitter, etc. She stressed the importance of authors having a social networking presence, and even branding themselves across those networks. An idea she offered is that authors use a recognizable banner across various social networking platforms—that way industry professionals and readers can recognize a writer's brand. In terms of branding as it relates to writing, Howland advises having conversations early on in the author-agent relationship, so to avoid confusion later on. Some writers will only want to write for middle grade—that will be their brand. Other writers will want to experiment with various genre. Your agent can help you to help your readers know who you are—your brand. On the question about what to write, Howland advises authors to write what they want to write. And not to chase trends, because everything will change so quickly. At one time, every editor asked for contemporary YA. Now those same editors are looking at the next hot thing. Sylvie Frank is a middle-grade and picturebook editor at Paula Wiseman Books at Simon & Schuster. Pitch: Why should the reader care? Grab: Is the opening scene compelling? Plot: Is there one and not just an info dump? So What? : What's the take away? Pitch: Who doesn't love sharks? Grab: Great beginning, we are whisked right away with a shark on a hunt. So What? 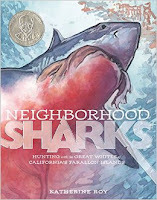 : It's very focused on sharks and shark facts, but also finds a way to bring up the impact of humans and climate on the incredibly (surprisingly) sensitive shark population without disrupting the shark action story of feeding. 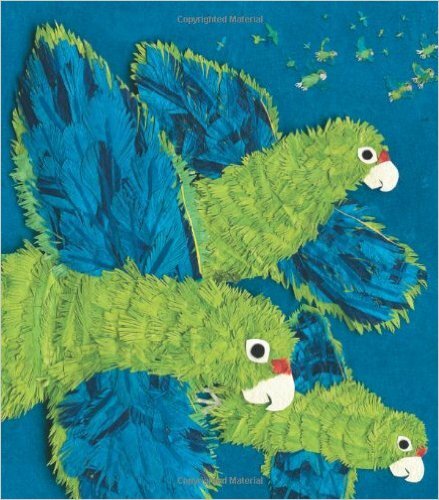 She reads parts of Roth and Trombore's Parrots Over Puerto Rico to us and we review its P-G-P-SO. 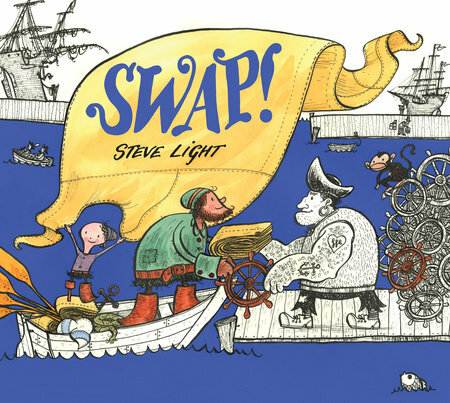 Sylvie then shows us the process of acquiring a NF picture book. 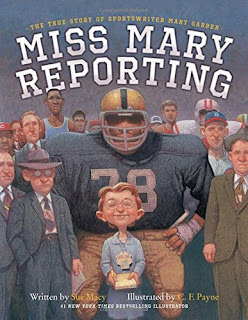 She shares her pitch for Sue Macy's Mary Garber biography, Miss Mary Reporting, followed by the first draft of the story that Sue sent Sylvie, and subsequent drafts. We see how Sylvie zeroed in on finding humor and zippy details in Sue's drafts and making them even stronger. We then get to see the illustrator C.F. Payne's thumbnail dummy, then tighter sketches. Sylvie shows us the typeset dummy art director Lucy Cummins made using Chris's sketches and the notes on the dummy where Lucy and Sylvie left comments about things like how the final art would need more room/redesign for text or other issues. Sonya Sones is the award-winning author of sixYA novels in verse, as well as one for adults which was optioned by Michelle Phieffer. Sonya reads to a captivated breakout attendees. Sonya reads the poem she wrote in a Myra Cohn Livingston class. The poem kicked off her career. When Myra read the poem she told Sonya, "I've been expecting this...it's always the funny ones who hide a deeper layer of pain." The unconscious mind is the part of mind you aren't aware of but can have a direct effect. This above mentioned poem which came from the unconscious mind became part of Sonya's Stop Pretending. More of these stories have remained in her unconscious and have found their way into other books. "You can't creep up on your unconscious, it has to creep up on you...It's a way to complete unfinished business." Sonya passes out sleep masks and earplugs for a moment of rest and then we'll write and see what comes out. Earplugs and sleep masks placed, and the resting begins. Upon waking, we all spent 10 minutes writing. A truly powerful and transformative experience for those here. I think I can safely say on behalf of those sharing this experience, "Thank you, Sonya"
Ellen Hopkins and Cynthia Leitich-Smith are two brilliant New York Times bestselling authors who teamed up to give a workshop on a pair of related topics: How to Write about Difficult Subjects and Writing Within & Across Identity Elements. Cynthia started us off with a definition: writing diverse books is about telling the stories of underrepresented people and cultures. There are lots of questions about who can write what, as well as lots of concerns about the writing itself: the authenticity, cultural appropriation, single stories, and more. Can books harm and help children? What about artistic expression and censorship? It's an urgent question as the country grows measurably more diverse. Fifty-one percent of children in the United States today are people of color. And this doesn't even take into account the more kinds of diversity, including disability, cultural, and class. Cynthia said there has been progress. There has been an expansion of nonfiction topics, and in fictions, we're seeing retellings, historical fiction, and contemporary books with social justice themes. Speculative fiction often has diverse characters. Her advice on the inevitable criticism. "No matter what you write, not everyone will love it... be diligent, thoughtful, and courageous." We should focus on creating respectful portrayals, not romanticized or idealized ones. How do we do this? "If you're not an own voices author, read at least 100 books by members of that community before writing one." Is the character stock or a stereotype? A Mexican-american maid? A white soccer mom? This limits you, though stock characters can be useful. Is my character "exotic" and framed exclusively in terms of ancestral belief system? Are the black teacher and and Mexican neighbor the only ones described by the color of their skin? This centers whiteness. Your characters shouldn't be excuses for two-dimensional social studies lessons. She also gave advice on working with experts to help us get our work as good as it can be: Be nice. Include multiple voices. Listen. Do not use sources or readers' names without permission. She encouraged us to support and encourage new and your voices and support diversity in big and small ways. Ellen Hopkins, who regularly writes about difficult subjects, told us stories of emails she's received from readers, including one whose mom started pimping her out when she was a 10-year-old. Her writing resonates so much with readers that she gets as many as 200 messages a day from them. "If you take one thing away from this, never...self censor. Write the story you think needs to be told the way you think it should be told." 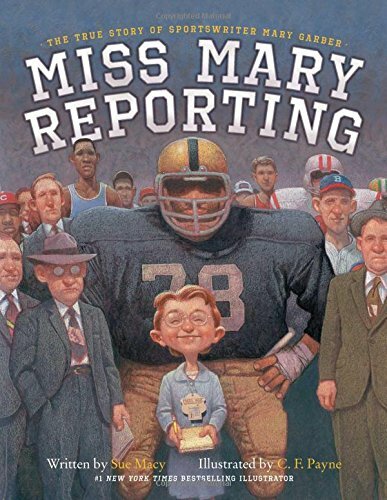 Her books are regularly censored, but she writes the hard stories for the kids who desperately need them. Her son is gay and 40 years old, and he came out to her when she was 12. And it was a really hard time for kids to come out. Her book CRANK has a gay character because that's a truth to her. You have to write what's true. Create real, live, multi-layered characters. We were fortunate to hear her read from her work, which is raw, emotional, and unflinching. She's created this through her own life, through research like spending time with young prostitutes, by eavesdropping and observing others closely. This is how you make characters special, by knowing aware of the details. Creating these characters is important for readers who are like them, but also for the readers who aren't, because this is what helps people understand the whys, for example, why a child with PTSD might lash out. Andrew Harwell is Senior Editor at HarperCollins Children’s Books, where he focuses on middle grade and young adult fiction and works with such authors as Noelle Stevenson, Adam Silvera, Madeleine Roux, Dan Gutman and more. He's also the author of the middle grade novel, The Spider Ring. 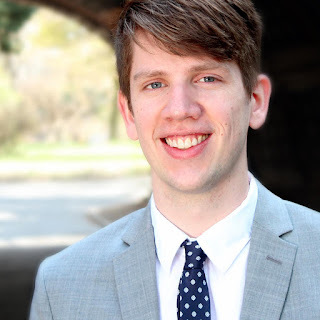 Andrew speaks about being on the #WeNeedDiverseBooks Walter Dean Myers Grant judging committee, about how the industry is recognizing the importance of sensitivity readers, and the desire for stories from writers of marginalized backgrounds. He points out that a number of winners of the American Library Association awards in 2016 were already bestsellers, telling us the takeaway lesson -- MG and YA readers are very discerning, so we each need to write the best book possible. There's a vast space between second grade and sixth grade, between Captain Underpants and The Golden Compass and how they're both "middle grade. Andrew tells us about publishing the Nimona graphic novel, and how when he acquired it, a few chapters were already online as a serialized web comic. They noticed that it was getting more readers every week, and decided to have the author/illustrator, Noelle Stevenson, continue to post the story as the book advanced the two years towards publication. Noelle ultimately posted the entire book online, building an audience all the way. When it was available for presale, readers were excited and the response was HUGE. Yes, they'd read lots of of it online. And yes, they "still wanted to own it." He shares about recently acquiring a few graphic novels by creators who are people of color, and one from a creator who is queer, and how encouraging it was to have so much support from his colleagues at HarperCollins. Ken Geist is a wizard*, and is also VP and Publisher of Orchard Books, Scholastic Press, Cartwheel, Readers, Branches and Little Shepherd. He's worked with Roz Chast, Brian Collier, Elisha Cooper, Nikki Grimes, LeUyen Pham, Sean Qualls, Selina Alko, and Robert Sabuda to name a few. Ken tells us about his amazing career since 1987 at a WHOLE BUNCH of houses. After a stint working for an adult publisher, he realized it was the first time he didn't love his job, What he does love is picture books and novelty, Ken is happiest when he is working for ages baby through age 7. Ken says as of 2016, 89% of kids ages 6 -12 say their favorite books are the one they pick. Strong characters is most important, humor second. "I think it's better than it's ever been, I think it's back on an upswing." Ken mentions the upswing is probably due to all of the different outlets books are now available: B&N, Amazon, indie stores. mass market stores like Target, school book fairs, regional bookseller shows. Books won't always find success in all groupings, but one particular group can really set a book's sales soaring and provide longevity in the marketplace. 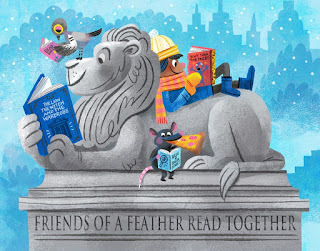 "Authors and illustrators when you are working with your editor, be open to hearing feedback, be sure you are reading aloud, over and over again..."And Ken wants you to make sure it is appropriate for children, not just something you think is 'fun' enough. 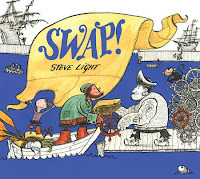 He also loves the new wave of picture book nonfiction, books like Me... Jane, and Swap! Lin asks the panel how they would characterize 2016 and what will 2017 be like for the children's book industry? Ken sees an even greater increase in attention to diversity. "Authentic manuscripts, finding new talent, is continuing to be more and more important... The ALA awards committee choices for the last few years has been amazing." What can authors/illustrators do to help their books be discovered? Self promotion is really important, says Ken. Also look and see what is out there right now that you can be passionate about that could make your book stand out better in the marketplace. Benjamin Franklin for example. You love him, he's studied in schools, in first grade, why not write a book you know has a place in the market, and perhaps your second book is a quieter or more personal book. *Do you READ how many imprints he oversees? You'd need a wizardly Hermoine-y Time-Turner to get all that done. 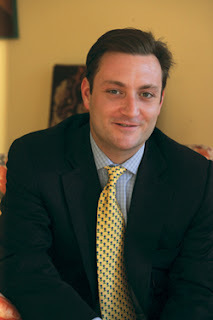 Edward Necarsulmer is a literary agent with Dunow, Carlson & Lerner Literary Agency. He started his career in book publishing as an intern at Random House Books for Young Readers, assisted Marilyn E. Marlow at Curtis Brown Ltd. and then joined McIntosh & Otis, Inc. in 2004 to oversee their children's literature business, and he's been an agent for almost 13 years. 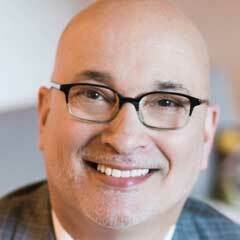 He is known for cultivating strong new voices in teen and middle grade as well as picture books. 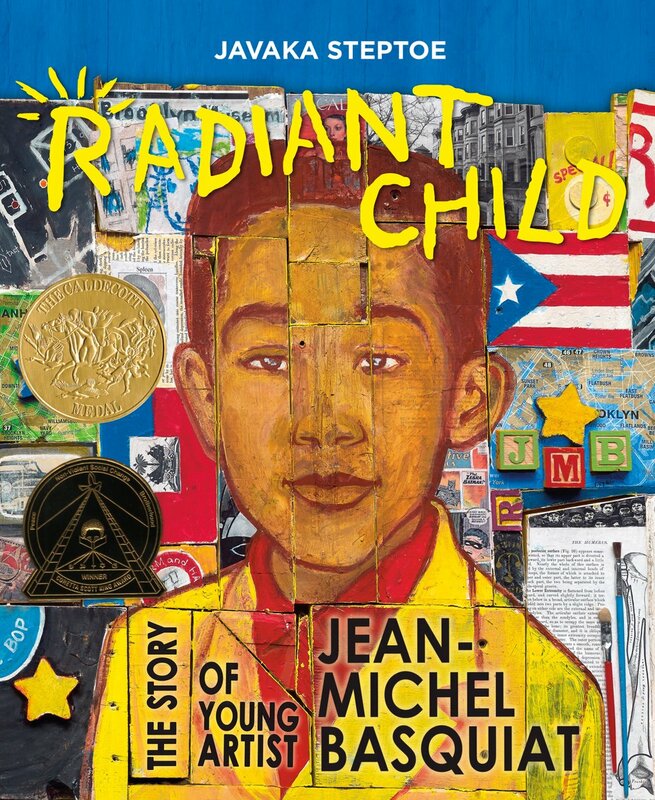 He represents New York Times Bestselling, Newbery, and Caldecott winning authors, illustrators, and estates, and is seeking authors and artists hungry to create exceptional and unexpected work. During his time as an agent, he's seen a lot of change. The notion of a "gatekeeper" is outdated. Agents these days are more about helping clients navigate new opportunities and aspects of the business. An agent's job its to help a client play to their strengths and stand out. "Unlike in years past, there isn't one clear bestseller (like Harry Potter). It's anyone's game. That's exciting." He believes in encouraging clients to write what they know and do well. "That often creates the greatest triumphs." And he addressed corporate mergers. "It was a great message for authors and illustrators that the publishers are here to stay." The focus on the craft is paramount, he said: "The best self promotion you can do is write an amazing book." This is the last time the Tomie de Paola Award will be given out, an award Tomie has been giving annually to an illustrator of promise he chooses himself. He wanted to give it a try for five years (an award out of his own pocket! ), and now he's passing the awarding baton on, which you'll read about below. "Advice for you writers: Read, read, read, read. Read anything, read everything. Don't be afraid to read schlock... And when you finish, write. Write letters, write stories, just write. 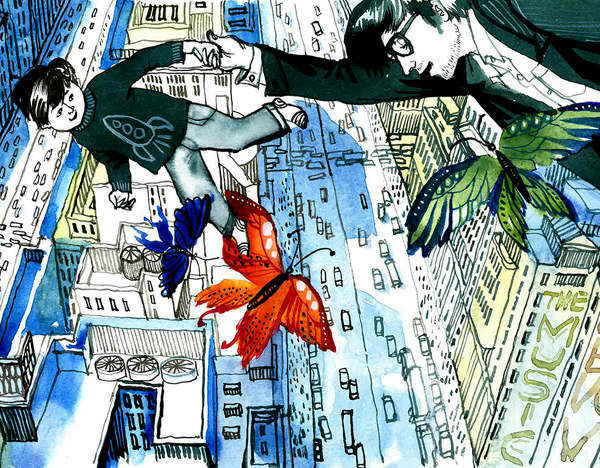 And now for all you illustrators: Not all artists know what they're going to be as children, but many do. Some come to it later, it doesn't matter. What does matter is when you decide that is your life path, be brave, and stick with it." 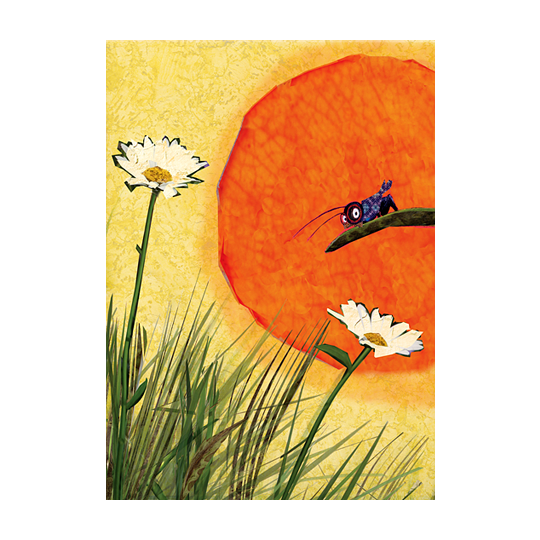 "Those of us who make picture books are members of a great, great legacy. But picture books didn't start with Mary Blair, Maurice Sendak, or Arnold Lobel. Look at the work of Robert McCloskey, Tenniel, Potter, Caldecott, the D'Aulaires, Tenngren, Lionni, Margot Tomes, Pyle, Wyeth, Scarry, Zemach, Dillons, Provensens to mention a few. And look at ALL the art, I mean ALL, even if you don't think you like what you're looking at." 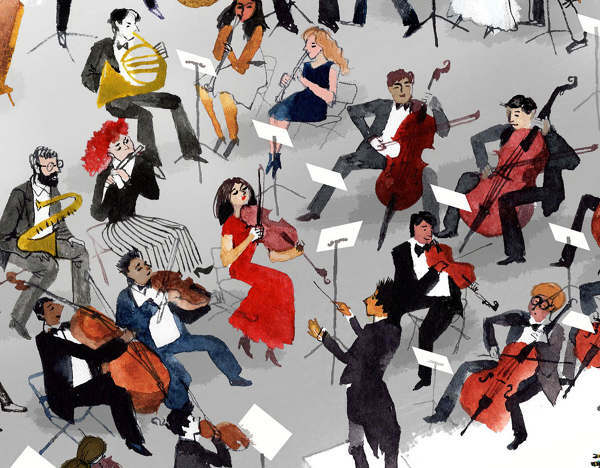 "Practice, practice, practice, and DON'T copy." "Don't be afraid to be a spiritual, mindful person." "Try to forget wanting 'things,' the wanting to get published, J.K. Rowling's fortune... Don't allow yourself to get greedy at the expense of your craft and your art." "Do your work for children. Do it for them. We have the awesome, frightening and holy power to enrich and even save young lives." 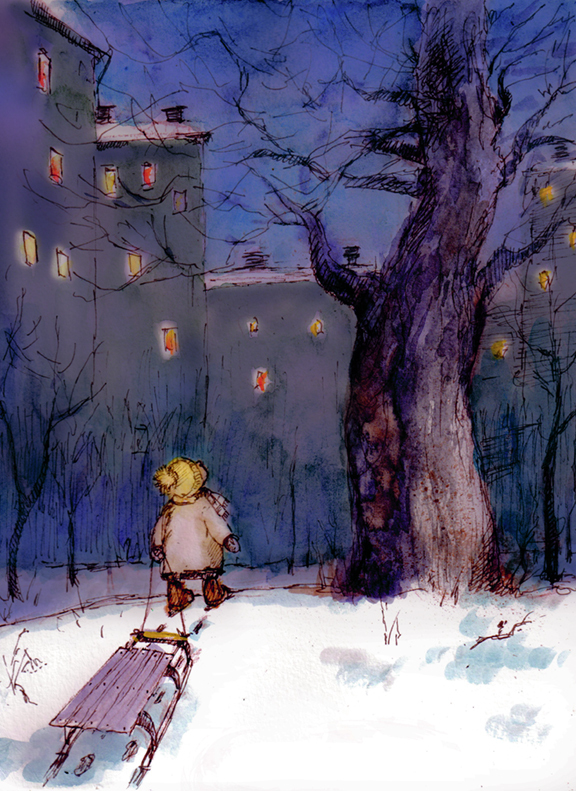 "Ask yourself honestly, why do I want to make books for children." "My wish for you: The joy of compassion, the joy of creating something that didn't exist before, the courage to do it in the first place, and to do it again, and again and again. And just a little bit of good luck." Team Blog note: If you are a picture book maker and you haven't bought a copy of Tomie and Lin's master class DVD, get thee to the online store and buy it immediately! You'll treasure it always. Will take over for the Tomie Award to honor the specific type of art we create. A rotating panel of judges will provide an assignment... We won't use the word 'prompt' because Tomie HATES that word. The assignment will require three images to showcase sequence and narrative. The winning piece will be displayed at the portfolio showcase, we will continue to have an online gallery. The first assignment we hope will be announced in July and submissions due in October. You miss that deadline, you've lost. The winner will be announced in November. 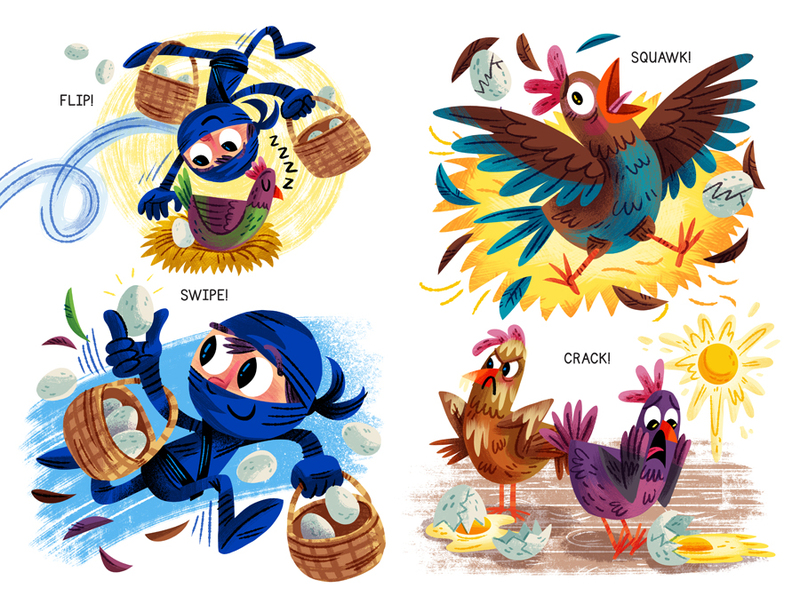 Hooray for more illo awards!! 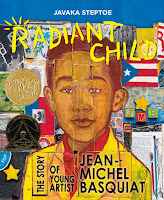 Critically acclaimed children’s book author Jane Yolen created this grant to honor the contribution of mid-list authors. The grant awards $3,000 to mid-list authors and aims to help raise awareness about their current works-in-progress. 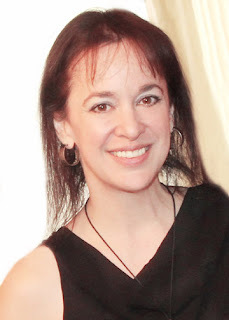 Jane was the first SCBWI Regional Advisor and currently sits on the SCBWI Board of Advisors. Jan Peck, author of the Green Mother Goose and Giant Peach Vodel. Jan is an active member of SCBWI and helped build the vibrant North Texas chapter. Joan Donaldson joining Jane Yolen on stage after being announced an honor winner.